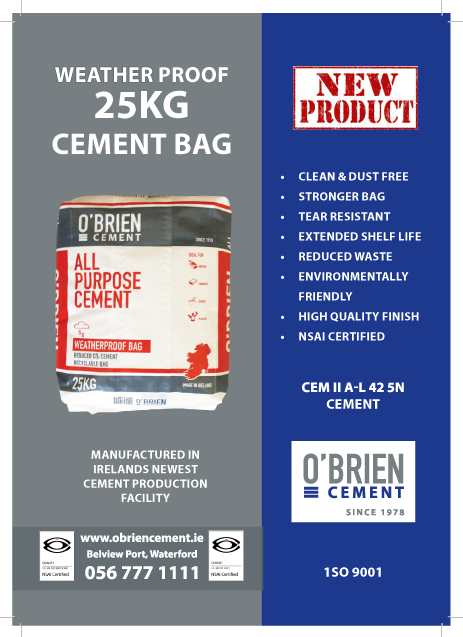 O’Brien cement is a family run cement manufacturer serving the Irish cement market since 1978. 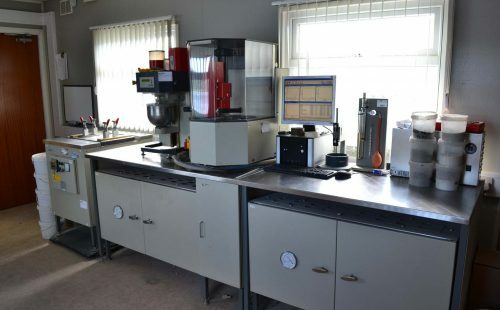 The company has grown from a small importer of bagged cement to a leading manufacturer of cement and GGBS. 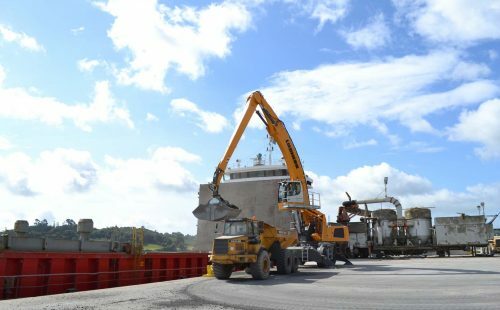 Our modern quayside cement manufacturing plant is located in the deepwater of Belview Port ensuring an uninterrupted supply of quality bulk products to customers throughout Ireland. 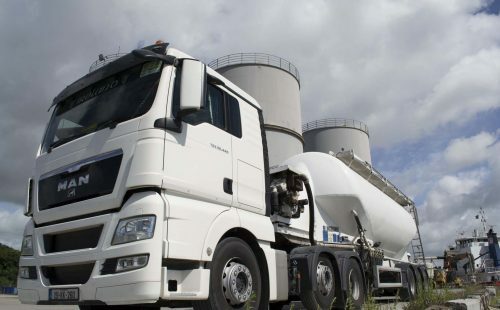 We have a fleet of trucks and cement tanks which enables us to deliver direct to customers premises throughout Ireland. 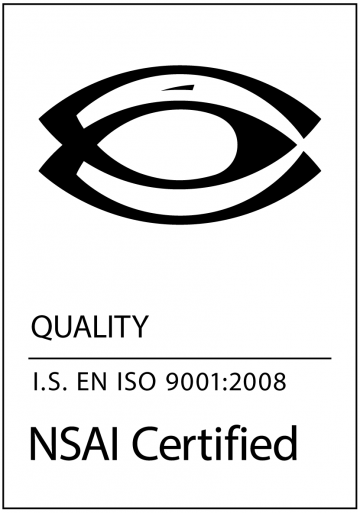 A rigorous testing regime is in place to ensure manufactured products meet strict European product standards. 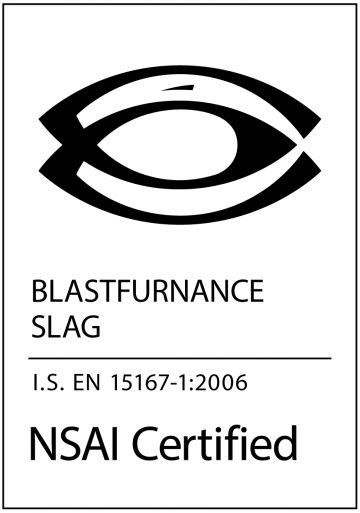 Ground Granulated Blast-furnace Slag certified to I.S. EN 15167-1:2006 is an eco alternative to normal portland cement. 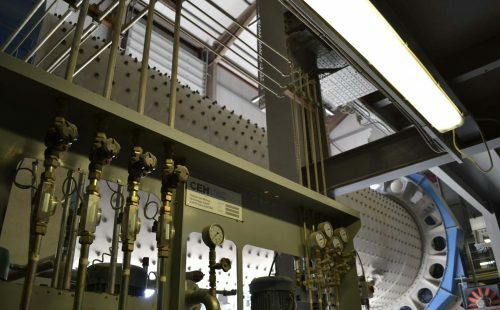 GGBS has both environmental and technical benefits to its use. 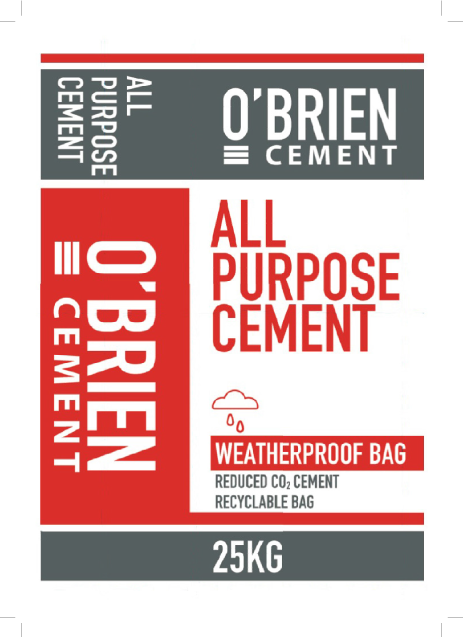 GGBS has a significantly lower embodied CO2 than cement which makes it a more environmentally friendly solution. 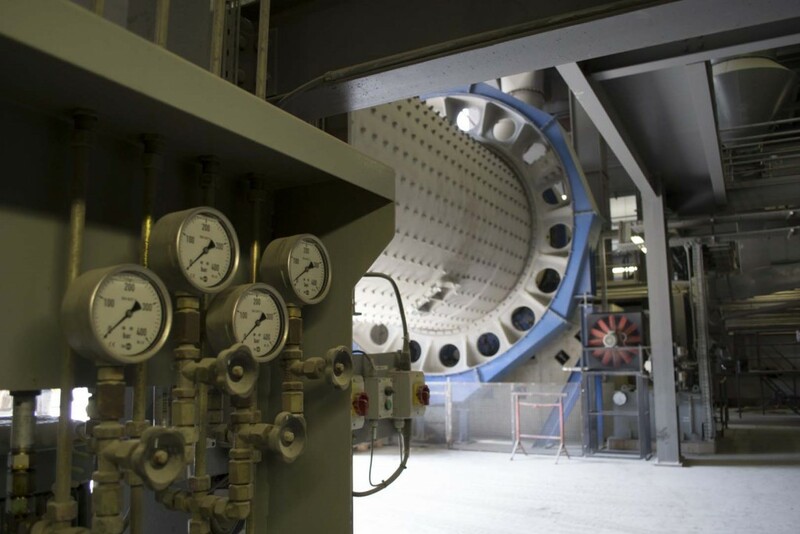 The Technical benefits of GGBS ensure greater resistance of concrete to chemical attack in aggressive environments.